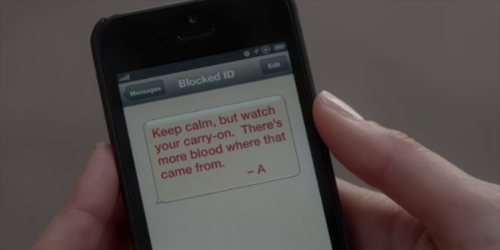 A's Messages: Who got this text: "Keep calm, but watch your carry-on. There's مزید blood where that came from. -A "?